Most people have probably seen the Korean romantic movie, Seducing Mr. Perfect. However, many do not know much about the actor who played the prince charming in that movie. If you belong to this category, then you are in the right place. The name of the actor is Daniel Henney, Henney is a Korean-American model and actor who has also featured in several movies and TV series both in the U.S. and in Korea. Some of his works include X-Men Origins: Wolverine, The Last Stand, Shanghai Calling, Criminal Minds: Beyond Borders, and Hawaii Five-O etc. Asides his acting career, Henney is also an accomplished model. Get to know more about him here including his parents, siblings, girlfriend, wife and net worth. On the 28th of November 1979 in Carson City, Michigan Daniel Phillip Henney began his earthly existence. He spent his childhood years there and attended Carson City-Crystal High School. While in school, Henney was an excellent basketballer and led his school to a second place finish in a regional tournament. On completing high school, Daniel Henney headed to Illinois for college and also commenced modeling. His modeling took him to far-flung countries such as Hong Kong, Taiwan, and Italy. At a point, he couldn’t juggle school and modeling anymore and he dropped out of school. With regard to acting, Henney’s path to Hollywood took the route that most Asian-born actors follow. He first became famous in Asia before Hollywood finally took notice. His first significant acting role came in the 2005 Korean TV drama, My Name is Kim Sam-Sun. In the popular series, Henney played the role of a doctor who is in love with the lead character. Even though his role was a minor one, Henney’s good looks and performance made him insta-famous in Korea. He thereafter featured in other Korean films such as Spring Waltz (2006), Seducing Mr. Perfect (2006), and My Father (2007). My Father departed from his normal prince charming roles. In it, he played as a Korean adopted at a young age by an American family. He eventually joins the army and his work takes him to Korea. While in Korea, he embarks on a search for his biological parents. Due to his rising fame in Asia, Hollywood soon came calling for Henney. In 2007, he featured in the movie X-Men Origins: Wolverine. Since then, Henney has also appeared in other Hollywood films such as Criminal Minds, Criminal Minds: Beyond Borders and Big Hero 6. Big Hero 6 is an animated movie which won an Oscar. Henney hails from a diverse background. 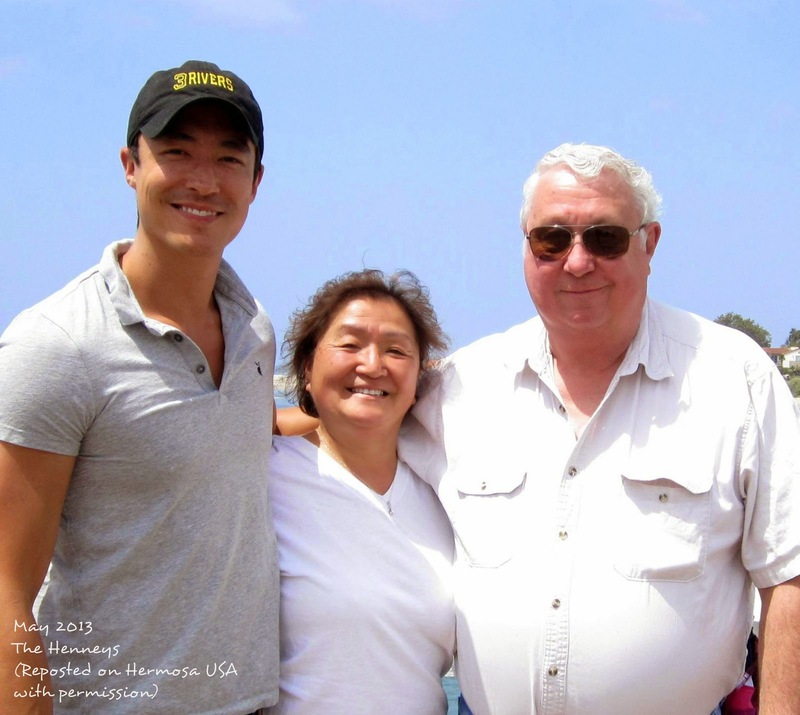 His father, Phillip Henney is Irish-American while his mother, Christine is Korean-American. Henney’s mom was born in the port city of Busan, South Korea. She grew up in Isabelle orphanage, Busan and was adopted by an American couple when she was just one. There is no information as to whether the actor has siblings or not. 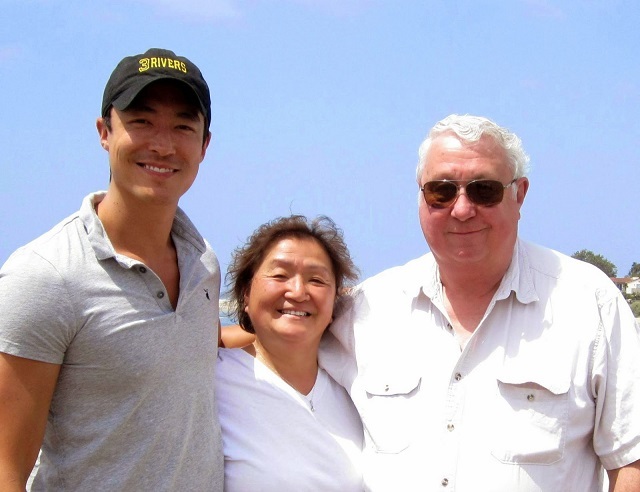 Daniel Henney is not married for now. So there is still hope for the ladies out there who are crushing on him. Even though he has never been married, he has been romantically linked with some beautiful ladies in the past. The actor previously dated Korean singer/songwriter, Jessica Sooyoun Jung and at other times Jung Ryeo-Won and Lee Na. Additionally, Henney is said to have had a relationship with Maggie Q in 2005. Margaret Denise Quigley or Maggie Q is a Hollywood actress who is most famous for her role as Nikita in the TV series Nikita. In a 2016 interview, Henney stated that he believes it is important to have a life partner but also said that it is difficult to find the right person. He also expressed his wish to get married someday. See Also: Katie McGrath Age, Height, Married, Dating, Boyfriend, Is She Gay or Lesbian? The actor’s net worth is estimated at $5 million. He made his fortune from his Korean, as well as his Hollywood, movies, and TV series. He also earns good money from his successful modeling career. Henney has modeled in the major fashion capitals of the world such as London, New York, Paris, Hong Kong, and Milan. He has also graced the cover of magazines such as GQ Korea, Taiwan, and Vogue Korea. Daniel Henney is blessed with swoon-worthy good looks and an enviable physique. Both features no doubt aids his acting and modeling career. Henney is 6 feet 2 inches tall (1.8m). His weight is given as 87kg or 192lbs. Other additional measurements are chest – 43 inches, arm/biceps – 15.5 inches and waist – 32 inches.